Looking for a sharp, simple, portable fabric backwall that sets up in 5 minutes? Look no further. 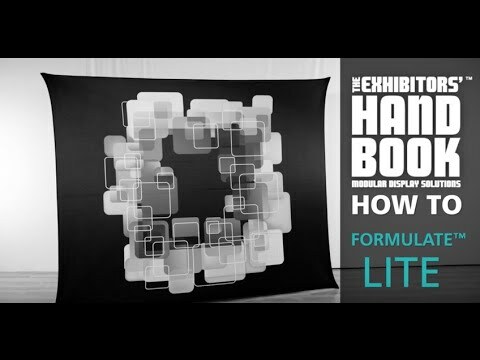 The Formulate® Lite 8ft by 10ft fabric back drop is one of the easiest and most portable solutions you can find. 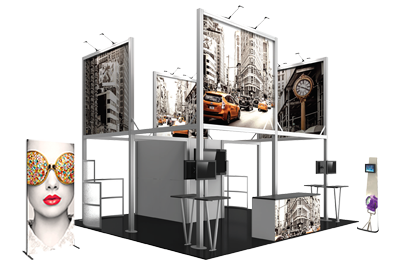 In addition to the standard landscape/horizontal configuration, Formulate Lite can be turned on its side to create a portrait/vertical wall as well. The sturdy, lightweight 30mm aluminum frame assembles with push-button functionality. Simply stretch the graphic over the corners of the frame and you’re done. You have an instant, impressive fabric backwall!